Kession Capital Limited (“Kession”) was established in 2013 and is authorised and regulated by the Financial Conduct Authority in the UK (FRN: 582160). 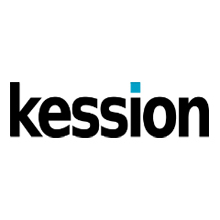 Kession is a London-based market leading provider of regulatory compliance consulting services and technology to the financial services industry. We provide FCA regulatory hosting and appointed representative services to many diverse clients who use complians.com, our compliance oversight and monitoring solution. We are one of the UK's largest FCA umbrella firms and have compliance staff at all levels.